The New England Patriots were a franchise reborn as they hosted the Oakland Raiders in their home opener on September 19, 1971. Stadium issues had been a chronic problem for the club since entering the American Football League as the Boston Patriots in 1960, but now they had a new 60,000-seat stadium in Foxboro, Massachusetts, and a new name as a result. They also had a new quarterback in Jim Plunkett (pictured above), the overall top draft choice who had won the Heisman Trophy at Stanford. The team was in need of refurbishment on the field, having gone 2-12 in 1970, the fourth straight losing record. John Mazur had taken over as head coach halfway through the previous season and was starting his first full year at the helm. The Raiders were a far more successful team, having reached the postseason for the fourth straight year in ’70 with an 8-4-2 record. Youthful John Madden was commencing his third season as head coach and still had plenty of talent on both sides of the ball, even if there were some concerns. Star QB Daryle Lamonica had a lesser passing year and was lifted in favor of 43-year-old QB George Blanda several times the previous season, and now the promising Ken Stabler was being added to the mix. Off-field problems had removed the top deep threat, WR Warren Wells. On defense, there was a need for some retooling and they would be starting a rookie, Jack Tatum, at free safety in place of the departed Dave Grayson. There were 55,405 fans in attendance at Schaefer Stadium on a cool, sunny day. The Raiders drove into New England territory on their first possession, but a holding penalty moved them out of scoring range and they had to punt. A short series by the Patriots also ended in a punt and the home team got a break when a scrambling Daryle Lamonica fumbled and LB Ed Philpott recovered at the Oakland 41. The Patriots also had a promising drive that was stymied by a holding penalty, and they were forced to punt in turn. Neither team was able to move effectively in the next few possessions until, with 4:50 left in the half, the Raiders put together a 60-yard drive in 10 plays. 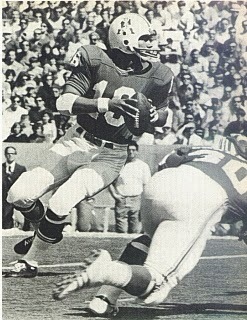 HB Don Highsmith ran the ball four consecutive times for 26 yards and Lamonica completed two passes. HB Pete Banaszak finished the possession off with a sweep around left end for a four-yard touchdown. However, a bad snap on the extra point attempt forced Oakland to abort and the score remained 6-0. The Raiders had a chance to pad their lead when HB Bob Gladieux fumbled the kickoff return and Jack Tatum recovered. 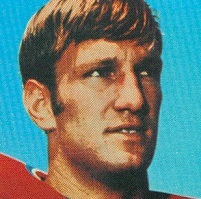 With 49 seconds on the clock and the ball at the New England 44, Lamonica completed a pass to WR Fred Biletnikoff for 20 yards, but two passes into the end zone were overthrown and, while a penalty and six-yard run by FB Marv Hubbard advanced the ball to the 13, George Blanda missed wide to the right on a 21-yard field goal attempt. The score remained unchanged at halftime. The Patriots had the first possession in the third quarter and again had to punt. Oakland reached the New England 43 before having to punt as well, but again there was a miscue on special teams. A bad snap forced Mike Eischeid to try to run and he was downed at the 50. The Patriots struck quickly as Plunkett, who completed just one pass in the first half, threw to WR Ron Sellers for eight yards, Gladieux ran for another nine, and then Plunkett connected with Sellers again for a 33-yard TD. Charlie Gogolak added the extra point and the home team was in front by 7-6. A three-and-out series by the Raiders resulted in another punt and the resurgent Patriots put together a 70-yard drive in five plays. On second down, Plunkett tossed a pass to WR Randy Vataha that gained 39 yards to the Oakland 27. Two plays later, and following an illegal procedure call on the Patriots, Plunkett rolled out and threw to Sellers for 12 yards and then found TE Roland Moss all alone for a 20-yard touchdown. Gogolak converted and New England was now up by 14-6. It got worse for the Raiders as Banaszak fumbled on the next series and the Patriots regained possession at the Oakland 42 in the waning seconds of the period. The result was a 46-yard Gogolak field goal early in the fourth quarter and an extended lead of 17-6. The Raiders again had to punt but got the ball back two plays later when Plunkett’s pass was intercepted by CB Nemiah Wilson at his own 40. Ken Stabler was now in at quarterback but the result was another short series and a punt. Almost exclusively keeping the ball on the ground, the Patriots put together another scoring drive. Gladieux and HB Carl Garrett handled the running load effectively and, when Plunkett did try a pass, Oakland was called for roughing the passer. The result was another field goal by Gogolak, this time from 22 yards. Now it was the aged veteran George Blanda behind center for the Raiders, and a carry by HB Clarence Davis gained 39 yards to the New England 25. But Blanda, attempting to pass, fumbled and while the Raiders recovered, it was all the way back at the 42. Two plays later a Blanda throw was intercepted by CB Larry Carwell to effectively seal the 20-6 win for the Patriots with 1:55 to play. As the clock ran down, the enthusiastic home crowd gave the Patriots a long standing ovation. The Raiders led in total yards (304 to 261) and first downs (20 to 12). They also turned the ball over four times, to three suffered by New England, and were called for seven penalties at a cost of 80 yards, as opposed to four penalties for 37 yards on the Patriots. Jim Plunkett completed just six of 15 passes for 127 yards and two touchdowns with one interception, but was five of eight for 113 yards during the third quarter rally. Carl Garrett rushed for 78 yards on 16 carries and Bob Gladieux contributed 48 yards on 11 attempts. Ron Sellers (pictured at right) led the receivers with three catches for 54 yards and a TD. For the Raiders, Daryle Lamonica was successful on 9 of 23 throws for 105 yards with no TDs or interceptions. Ken Stabler and George Blanda combined to go two of eight for 17 yards with one pass picked off. Pete Banaszak ran for 71 yards on 15 attempts that included a touchdown and also topped the team in pass receiving with three catches for 38 yards. Fred Biletnikoff was right behind with three receptions for 34 yards. Marv Hubbard gained 50 yards on 10 carries. The stunning early win did not signal an immediate turnaround for the Patriots, who won only one of their next six games, but they did come out on top of four contests during the second half of the season and finished up at 6-8, good enough to place third in the AFC East and the team’s best record since 1966. Jim Plunkett passed for 2158 yards and 19 touchdowns and received NFL Offensive Rookie of the Year honors from the Pro Football Writers and consensus AFC Rookie of the Year recognition. Oakland didn’t lose again until Week 11, going 7-0-2 during that stretch, but then lost three straight games to end up second in the AFC West with another 8-4-2 record and out of the playoffs.